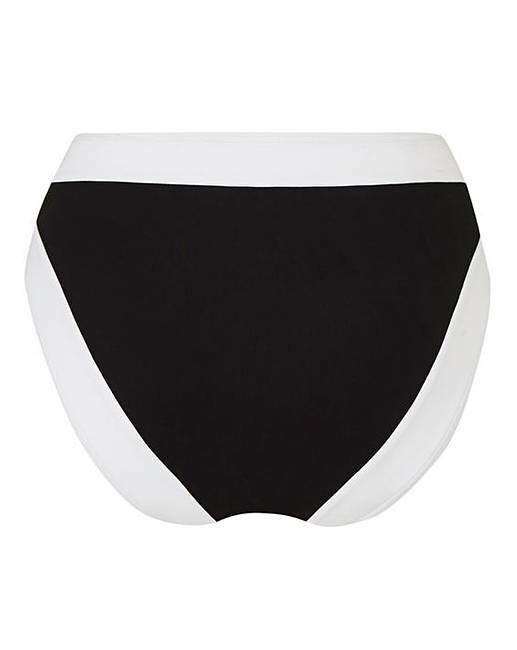 These glamorous high-waist bikini briefs are perfect for pool side relaxing. Using eye-catching monochrome details, these briefs are perfect to wear with our Figleaves Curve underwired bandeau bikini top. 85% Polyamide, 15% Elastane. Lining: Polyester.